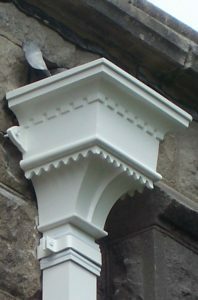 Our products are widely used on listed buildings. We have supplied rainwater products for some very historic locations. We supply a wide range of rainwater products for your very own “Grand Design”. Get in contact to discuss your requirements. 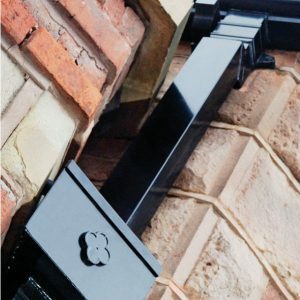 We manufacture our own cast aluminium gutters in house so can provide bespoke fittings or sizes for awkward areas or specially designed roofs. We will use our expertise and experience to recommend what best suits your particular building, providing samples if necessary. We supply a wide range of traditional cast iron products which are proven to be versatile, durable and reliable. The range includes the finest heritage rainwater systems. We also have a wide selection of Cast Aluminium rainwater products that are perfect for contemporary buildings and private homes. The most comprehensive range of guttering, rainwater goods and accessories since 1994. We provide bespoke options to meet all your needs. We advise on finishes, styles and costs, providing a personal touch at all times. We can provide a Bill of Quantities and Quotation to meet your requirements. We advise on fitting instructions and provide a credit card facility for payment. We have over 20 years experience supplying rainwater systems to iconic projects. We manufacture custom made sections to fit your specific requirements. More information about PFC Rainwater Systems. PFC Rainwater Systems Ltd. was founded 1994. We are located at Newtownabbey, Co. Antrim on the outskirts of Belfast. We provide a wide range of services and rainwater products for the construction industry in Aluminium, Cast Aluminium, Cast Iron, Galvanised Steel – or for very special locations – Stainless Steel Products. 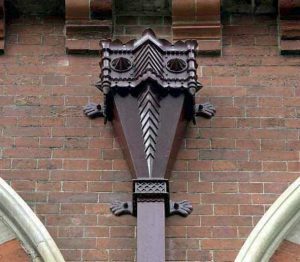 Our products are authorised for use on listed buildings and can be viewed at some historical locations across the UK and Ireland. Our extensive range of rainwater products and in-house ability to fabricate bespoke items to individual requirements no matter what size allows us to provide for all period and contemporary buildings may it be Domestic, Commercial or Industrial. We can match up with most existing gutters etc should you only require a section replaced or perhaps a completely new refit. PFC Rainwater Systems Ltd have a dedicated team to help you from start to finish with your project should you wish to avail of their experience, site visits can be arranged to discuss your requirements or measure your premises in order to quantify your order. Bill of Quantities and quotations are supplied on request, advice can also be given as to the most practical and cost effective method with regard to your project. Please don’t hesitate to contact us. View our Portfolio section to view more details about previous projects.